“Food provides an answer. Our landscapes and cities were shaped by food. Our daily routine revolves around it, our politics and economies are driven by it, our identities are inseparable from it, and our survival depends on it. What better tool, then, with which to shape the world.” (Steel, 2012 in Viljoen & Wiskerke, 2012:36). Despite its importance I found little scientific research on street food, a phenomenon that is particularly relevant in developing countries. Street food can be defined as: ‘ready to eat food or beverages prepared and/or sold in the street and other public places for immediate consumption or at a later time without further processing or preparation’ (FAO, 2012). I decided to look into this topic within the context of Ghana’s capital Accra. An estimated 85% of the urban population in Ghana patronize it, cutting across socio-economic boundaries and thus also designating the important cultural role of street food In Accra, from early morning till late at night all sorts of food are being sold on the streets. Also, there is a great variety in the professionalism of microenterprises. There are many hawkers walking around trying to sell their products, well established enterprises that have fixed stands and seating facilities, and the informal eating houses called ‘chop bars’. Street food make an essential contribution to nutrition of the urban population by providing easily accessible and affordable food, as well as they provide a good livelihood strategy by creating employment and increasing incomes for a large number of urban dwellers. Hereby street food thus makes a great contribution to the local economy. This informal sector requires low start-up capital and low levels of education are needed, making it a good business opportunity for especially women. I took the Ghana Traditional Caterers Association (GTCA) as a focus for the case study. This membership-based organization strives to improve street food vending, locally referred to as ‘traditional catering’. The associations’ overall goals are threefold: 1) to ensure healthy food for Ghanaian consumers, 2) to form a united front and to contribute to the members’ general welfare and 3) to protect and promote traditional recipes, which are strongly connected to Ghanaian national identity. This last ambition is a reaction on the fear that globalization processes weaken the demand for local recipes and undermine traditional food practices. I looked at the networks surrounding street food vendors and the social relations that vendors maintain with each other, their suppliers, customers and the authorities. This topic is rarely approached from a more cultural and sociological perspective. Most research is done on food safety issues that are often associated with street food, vending as a livelihood strategy for households, and the contribution to nutrient intake and food security. When looking at networks, the majority of social research in Ghana focused on market trading and not on food providers as a separate sector. 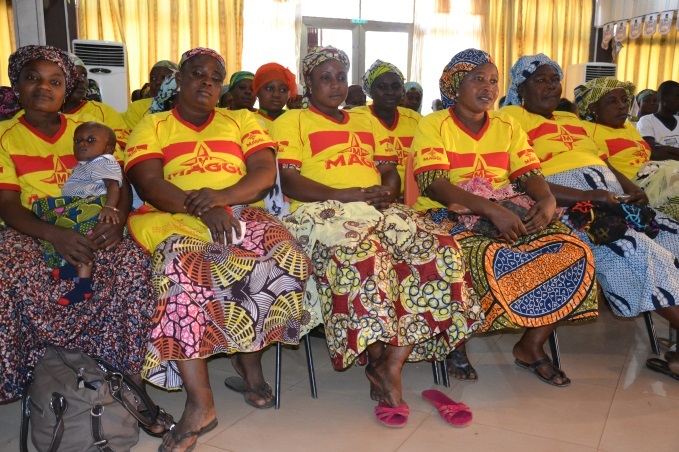 I used qualitative research techniques, doing participant observations, in-depth interviews and focus group discussions in several neighborhoods of Accra. During the research I tried to be very much aware of my own role as a researcher: my own social background, interpretations, bias and prejudices. This reflexivity I deem very important for a good ethnographic study and is incorporated throughout the data collection period and in the final thesis report. Furthermore I took a critical constructivist approach, by identifying the current situation (the stakeholders involved and their relations) and at the same time looking for prospects of emancipatory transformation of the existing power structures. What first of all became apparent: Accra’s street food network is very dynamic and is growing rapidly. Gradually more people are taking up the business of food vending and also a wider variety of actors are getting involved. The study also indicated an increasing diversity of food offerings, where ‘modern’ fast food and ‘traditional’ recipes exist next to each other or they integrate. Indicating the so-called ‘hybridization’ of food. Continuously changing circumstances under the influence of globalization, have led to an even more active, dynamic and flourishing food processing industry in the urban setting of Accra. By and large the food supply towards the vendors remains based on traditional ways of urban food provisioning, via small-scale retail and open-air markets, and the strong linkage with the agricultural hinterland remains. Though locally produced products have a bad reputation. This is contrary to what we see in the western world where ‘locally produced’ is associated with quality. Furthermore a significant external influence from the transnational food company Nestlé was identified. This company makes use of the existing local supply networks to promote their products and seize the opportunities in this growing sector. Other companies like Unilever do the same. They are the main sponsors of trainings and workshops on food hygiene organized by the GTCA. Also they use the GTCA’s member network to invite food vendors for programmes they organize themselves. By implementing marketing techniques and using promotion materials they increase their brand visibility. You could say they thus contribute to an improvement of the street food network, yet do this with their own corporate agenda in mind. 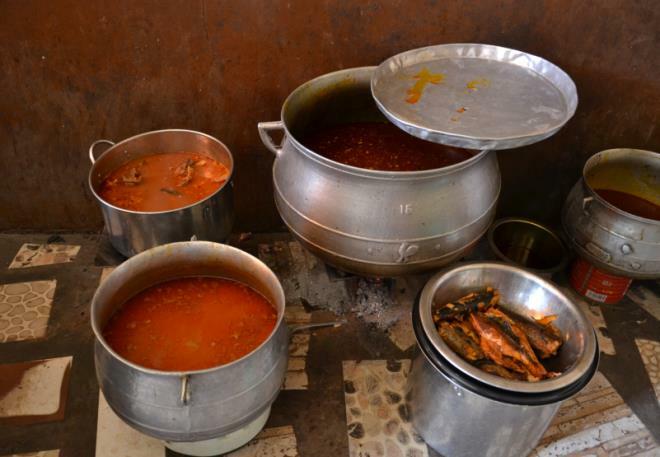 The influence of the Ghana Traditional Caterers Association proves to be limited. Membership is not obligated and there is a lack of cooperation with different organisations and local authorities. The association is not sufficiently powerful to have a real impact on the vendors’ lives and to steer the developments of the network. Private sector actors were much more influential. The GTCA, as a civil society organization has to become better embedded within the network of political and market powers. Overall can be stated that globalisation definitely has an effect on Accra’s street food network, yet the traditional recipes and practices remain popular; they rather co-exist than are taken over by foreign influences. Hence global forces do not simply enforce their power upon local actors in a top-down fashion as was assumed in past acculturation theories; they interact and integrate with the existing local practices. Furthermore, contrary to what the name of the association made me assume, all vendors (referred to as ‘traditional’ caterers) can become members, irrespective of what food items they sell. All these occurrences together provide a good insight into the many complexities and contradictions that are present in the street food network, and which are characteristic for the food system as a whole. In particular the entanglement of civil society organizations (like the GTCA) with the corporate companies’ policies demands further investigation. Often local empowerment and global capitalism are positioned as opposing forces, yet they might go hand in hand and co-develop. Referring at the win-win situation Nestlé representatives pointed at, and the enthusiasm that is expressed by the street food vendors for the support they receive from the company, it is worthwhile to explore more on this relation in the context of a developing country like Ghana. This will give more insight in how local empowerment and global capitalism interrelate and ‘use each other’. It can provide valuable knowledge on how local food systems can be strengthened, which will hopefully lead to more local food control and thus an empowerment of the people that are directly involved in and depend on it. Another interesting inquiry would be the bad reputation of locally produced food: where does it come from and what can be done to alter this conception? In the western world we can notice a growing popularity of short food supply chains, they are seen as more sustainable and socially just. Yet in Ghana there is little trust in locally grown vegetables and for instance Asian rice is assumed to be of higher quality than rice produced within the country. There are many development programmes focused on increasing food production and yields, however when consumers are not interested in buying local produce not much is gained in the aspiration of shorting food supply chains. 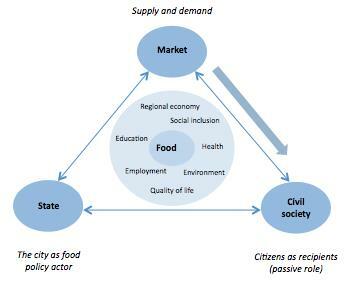 More case studies are necessary on how to better align food supply and demand in a specific local setting and how a more democratic food system can be created in which all actors have somewhat equal power to shape it. 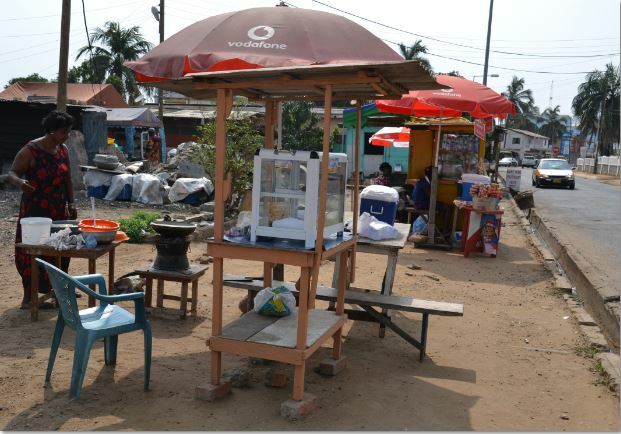 This entry was posted in Education, Food, RSO-student and tagged Food, food culture, food networks, Ghana, street food by Han Wiskerke. Bookmark the permalink.